The name of this brilliant bouquet definitely says it all! In life, there's always something to celebrate so don't allow the moment to pass! Did your best friend get promoted at work? Did your niece pass her driver's exam? 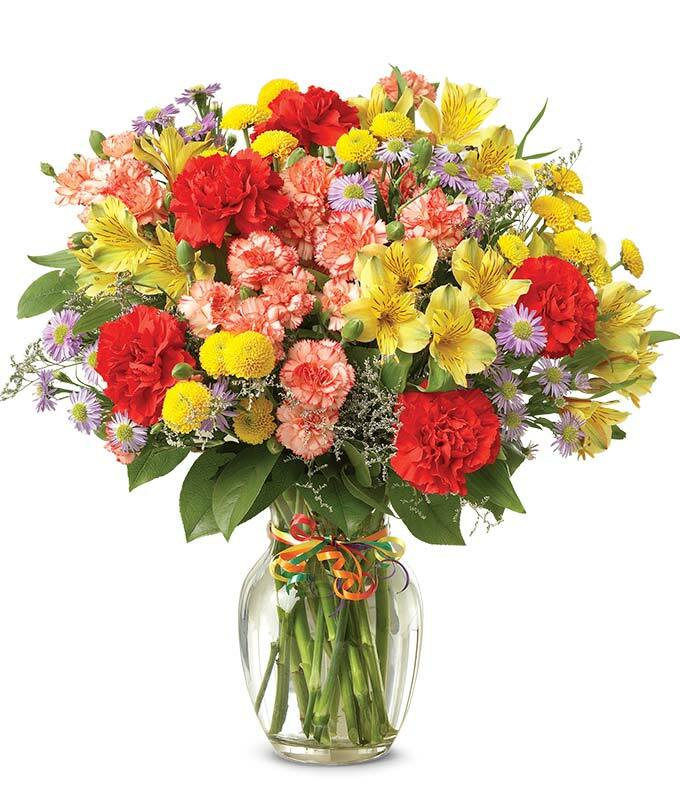 Send fresh flowers to share your excitement and joy! Our colorful carnation variation, exciting alstromeria and buttom poms are generously arranged and are ready to party! Vase measures 8"H x 4"D.